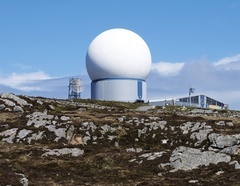 The 'Golf Ball' is 24m high and sits on the summit of Ben Hynish. 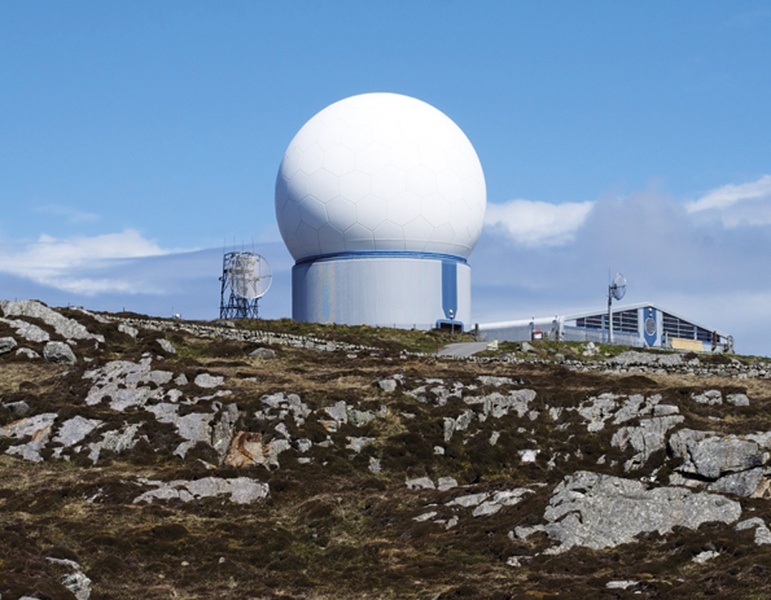 It is an important civil aviation radar station, scanning the skies two hundred miles out into the Atlantic. It was built in 1985 with hexagonal fibreglass plates from Norway designed to withstand winds up to 220 mph. Access to the top of the Ben is restricted.